The Christmas holiday is rapidly approaching and that means your Christmas break is almost here as well! As the semester winds down, along with your energy, I’m sure the last thing you want to do is prepare activities that require a lot of prep. 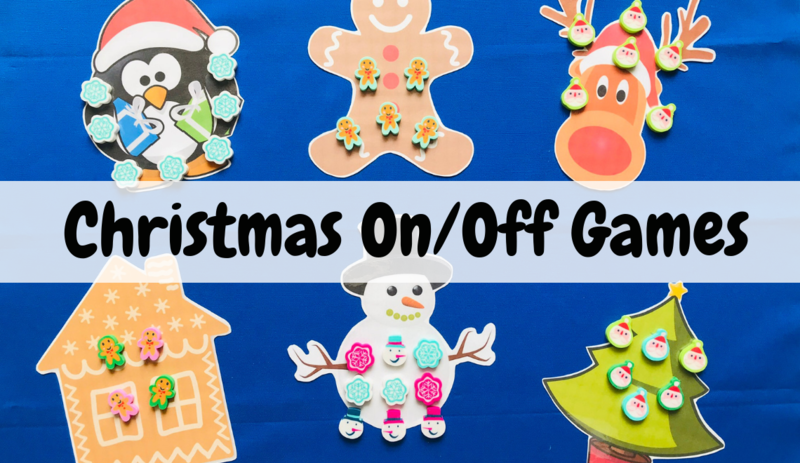 Christmas On/Off games are great to introduce and only require three materials! The only prep is cutting out the templates and laminating them (if you wish). The templates can even be cut out by students for great fine motor practice. This concept is fun for kids, perfect to match the holiday theme, and you can get great assessment information. Take a look. Students will play this independently. Each child will need a Christmas template, a cup, and a set number of erasers. 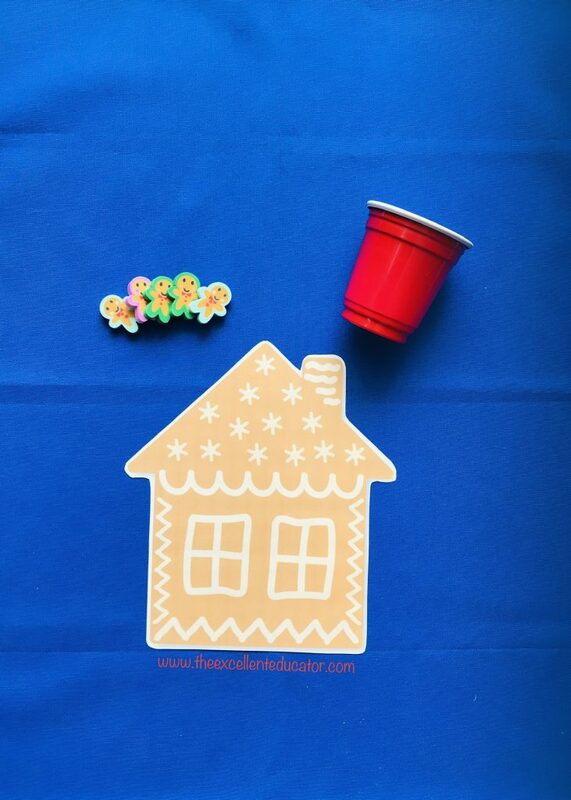 The child will gently shake the cup (with one hand covering the top), then dump the erasers out on the template. The students will then count how many erasers landed on the template and how many landed off the template. This game is a great way to assess counting, comparing, and position words (on/off/above/below/beside). I also have some prompting questions that you can ask to scaffold learning below. 1. How many total erasers do you have? 2. How many erasers landed on the mat? 3. How many landed off the mat? 4. Did more erasers land on the mat or off? 5. How many more landed on the mat than off? 6. Did any erasers land, above the mat? How many? 7. Did any erasers land below the mat? How many? 8. Did any erasers land beside the mat?How many? Thanks again!!! THese are awesome!! You’re always welcome my dear! Enjoy!